PBS (Public Broadcasting Services), the national broadcaster, responsible for Malta's participation at events organised by the European Broadcasting Union, has just published the rules and regulations for participation in the 2016 Malta Eurovision Song Contest. At a glance, it seems that there have not been any major changes to the national selection format, noting that each participant will have to submit an original song, pertaining to the requirements as set forth by the European Broadcasting Union, as well as a cover song, which could be either a previously released track by the aforementioned participant or a favourite song in the genre which best suits the applicant. One of the few changes is that all the vocals during the first and second part of the final phase have to be LIVE, due to the fact that they have to be replicated as such during the Eurovision Song Contest. Submissions will be accepted at the PBS Creativity Hub on the 29th and 30th October 2015 at a fee of €150. The announcement of the 20 finalists will be made in November, with the Malta Eurovision Song Contest 2016 set to take place in January. We urge you to stay tuned to escflashmalta.com even through Facebook and Twitter for all the latest news on who will follow our "Warrior", the powerhouse Amber to the international spectacle. 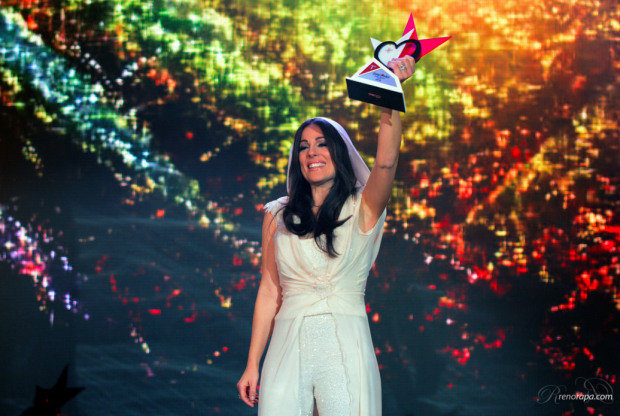 In November 2014, a panel of professional judges from five different countries, along with the public unanimously agreed that "Warrior", written by Elton Zarb and Matt 'Muxu' Mercieca with vocals provided by Amber would represent Malta at the 2015 Eurovision Song Contest in Vienna, Austria. It has been a busy fortnight for the female singer, going onto give two sold-out concert at the Mediterranean Conference Centre before jetting off to Russia and the United Kingdom on a promotional trip, which will see her perform in two major events. First up is the Eurovision Gala Concert organised by Graffa Media and Communications Agency which is taking place this evening at 19:00 (GMT+3) at the Place De Paris, Korston Hotel, which is one of the major hotels in Moscow. Amber, will be starring along with another eleven international acts from the 2015 Eurovision Song Contest including representatives from Belarus, Iceland, Australia, San Marino, Montenegro, FYR Macedonia, Israel, Azerbaijan, the United Kingdom and Russia as well as a number of former participants. This event in particular is being highly publicised in Russia, and will be preceded by a red-carpet entrance. The second event on the itinerary is the London Eurovision Party which is taking place at the Cafe de Paris and which Malta has taken part in for the past couple of years, noting that Firelight, Gianluca Bezzina, and Kurt Calleja were all amongst the acts to have made the trip. Fifteen acts will be present this time round, those coming from the United Kingdom, Australia, Sweden, Norway, Switzerland, Germany, Malta, Latvia, Austria, Hungary, Montenegro, Cyprus, Greece, Moldova and the Czech Republic. A couple of former representatives, including the aforementioned Kurt Calleja and Ray Caruana, who represented the United Kingdom in 1989 will be amongst the special guests. A quick reminder that the Maltese entry "Warrior" is available for purchase through iTunes, and also available for streaming on Spotify. In Vienna, Amber will be taking to the stage in position number #5 during the second semi-final slated for the 21st May 2015. We urge you to stay tuned to escflashmalta.com even through Facebook and Twitter for all the latest news about the 2015 Eurovision Song Contest.